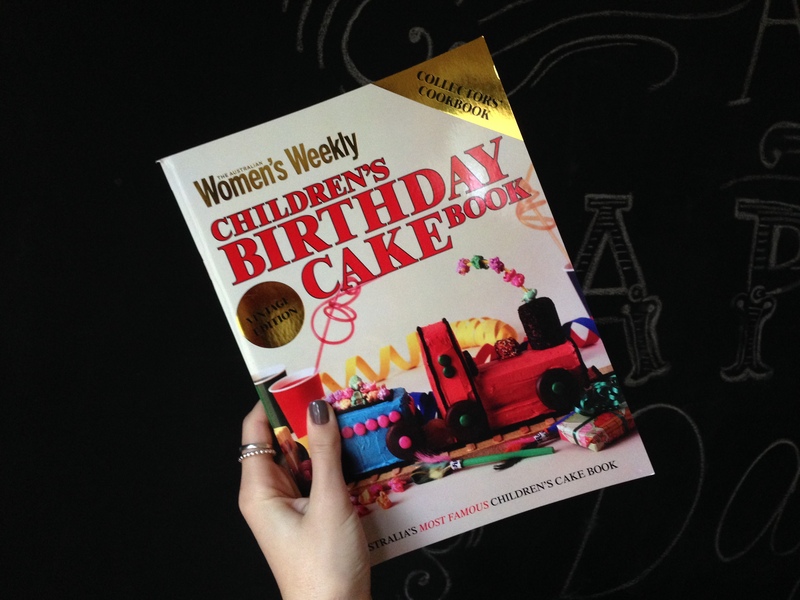 Chances are, if you were an Australian child during the 80s and 90s, you had a birthday cake made from the above book. Maybe you had the doll cake? Or the train? I had the castle cake, with the upside down ice cream cone turrets. Last week, the editor of this and many other Australian Women’s Weekly cookbooks was interviewed at my work. I felt oddly starstruck. When I shared the interview on Facebook, plenty of people were quick to comment with the cake they had and loved. It seems bizarre that one cookbook was so paramount to an entire generation of birthdays. I remember keenly flicking through the pages, months out from my birthday, staring at the cakes and choosing one, only to pick a different one a moment later. The cakes now look hilariously dated, especially compared to the flawless cupcakes and other creations you see now. I can’t imagine any parent dying desiccated coconut green for a football pitch cake nowadays. Although my interest in baking has only really blossomed in the last couple of years, I do remember spending a lot of time looking at Mum’s cookbooks as a child. There was a Marie Claire book with a particularly decadent chocolate section, and another Women’s Weekly book with a lemon slice I desperately wanted to make after seeing my sister do so. But my interest only lasted long enough to realise we had none of the ingredients in the cupboard, before I gave up and moved onto something else (the Super Nintendo no doubt). My birthday is a couple of weeks away and I’m kind of tempted to bake one of these cakes, but really, nowadays I’d much prefer a simple cheesecake than a slightly bland over-iced spongecake. Do you have a birthday cake from your childhood that you’ll always remember? This entry was posted in Food and tagged Australian Women's Weekly Cookbook, Birthday, Birthday Cake. Bookmark the permalink. I had the doll, the train and a couple of others. 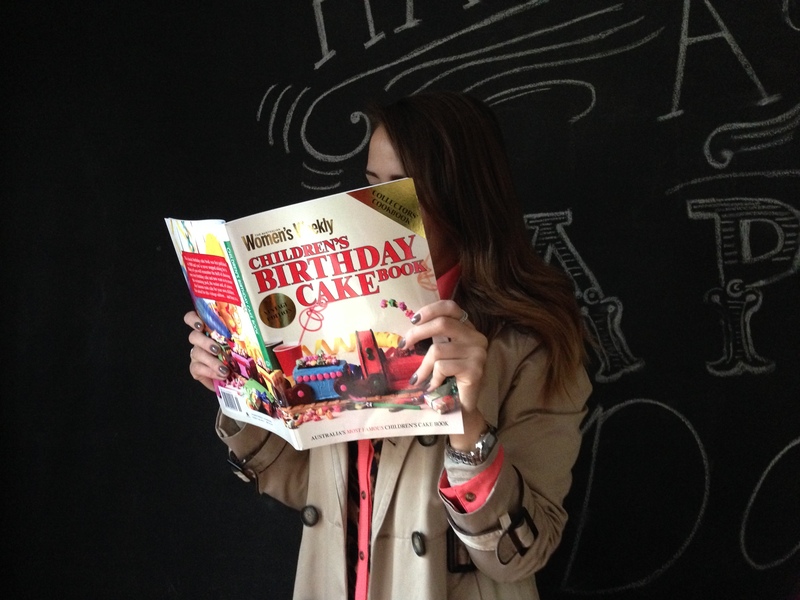 Each year we would flip through that book so excited to pick our cake! Such a good memory. Oh how I coveted the castle cake with the ice cream cone turrets! You lucky thing. And pink turrets at that! Kudos to my patient Mum. This cookbook is still on our shelf! My little sis and I would fight over who got what cake each year!